General Doolittle is a giant of the twentieth century. He did it all. As a stunt pilot, he thrilled the world with his aerial acrobatics. As a scientist, he pioneered the development of modern aviation technology. During World War II, he served his country as a fearless and innovative air warrior, organizing and leading the devastating raid against Japan immortalized in the film Thirty Seconds Over Tokyo. Now, for the first time, here is his life story — modest, revealing, and candid as only Doolittle himself can tell it. This was an amazing story. It was not just about World War II, but also covered other things that Doolittle did. 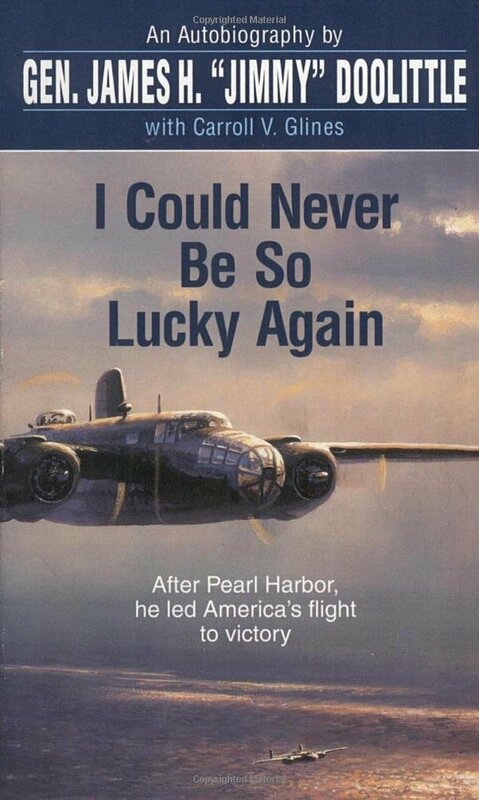 Before I read this book, I knew only a little bit about the Doolittle raid and General Doolittle who commanded in Europe during the World War II. James Doolittle writes his own memoir of his experiences from being a child in Alaska, to trick flying, and his experiences during World War II. I love all the funny stories he tells and all the information he gives that I had not heard about before reading this amazing book.